Book the best VIP Montreal limousine service and rentals in town! Take advantage of our amazing packages and special offers today and get the best ride you could possibly imagine! Montreal limousine VIP prides itself in being the leading limousine service in town and in the surrounding areas as well. We have been the top transportation company for years and we feel grateful that every single customer who uses our services turns into a satisfied customer who would recommend us to others as well. You can expect from us nothing less than excellent services, highly trained staff members and top of the line vehicles. As we have mentioned before, we have years of experience in the field and we have learned exactly how to keep our customers satisfied and how to make them return to our impeccable services time and again. Most transportation companies will boast that they treat their customers like family and that they have very friendly relationships with their clients. Thankfully, with us you will not be treated like a member of the family but like a real VIP. You can rest assured that your transportation needs will be met with us and that your expectations will always be exceeded. We guarantee that any special occasion you need us for will be instantly turned into an unforgettable experience as long as we are there. This is mainly because we always go above and beyond for our customers! We never shy away from any task because we have learned to be flexible and versatile in order to adapt to our clients demands. Our company will make sure that you get to your destination in time and in the most luxurious fashion possible even if you are on a budget! We guarantee amazingly fabulous rides to all of our customers! Here, at Montreal Limo VIP we take great pride in our work and we certainly take every demand or wish and turn into palpable reality. Among other things, you can count on our professionalism and flexibility! 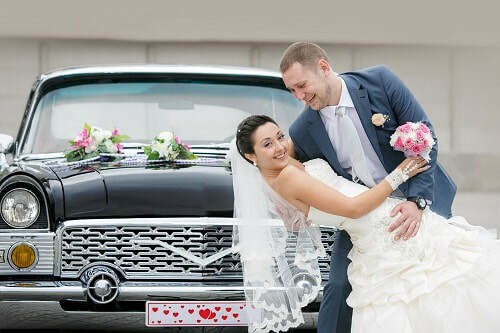 We are thought of as the top and most professional limousine service in the area. This is mainly because we have all the right resources to handle our customers with dedication and a lot of care. We work with the best chauffeurs, drivers and customer service advisors. Additionally, our company has the most impressive fleet of luxurious vehicles to put at your disposal. There are plenty of options for you to choose from, regardless the occasion, the destination and the number of persons you are traveling with. We always encourage our customers to tell us everything about their transportation needs, because we strive to meet them, no matter how unusual they are. We can handle anything from vintage vehicles, decorations and fully stocked bars and refrigerators. All you have to do is give us a call!